Bei uns blühen jetzt die Krokusse und Schneeglöckchen.. so schön anzusehen. Noch mehr Blüten gibt es auf meiner Karte. 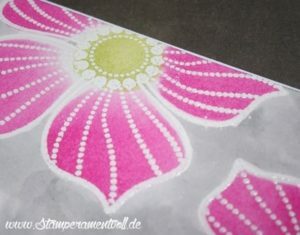 Ich habe mich hier an einem eigenen Designpapier versucht und das ist daraus geworden. Die Farbwahl gab es diesmal von Cupcake Inspirations. Here the crocuses and snowdrops are blooming right now.. so beautiful to look at. There are more flowers on my card. 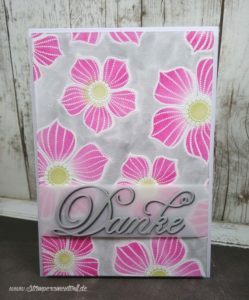 I have tried to create my own design paper and this is what I came up with. The color selection this time you will find at the Cupcake Inspirations blog. Das is st aber so scheon! Love the pink and grey color combo! So glad that you join the fun over Simon Says Stamp Wednesday “For a Special Lady/Girl”” Challenge! Awesome details and design! Super work! 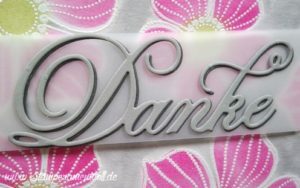 Danke! What s darling card! 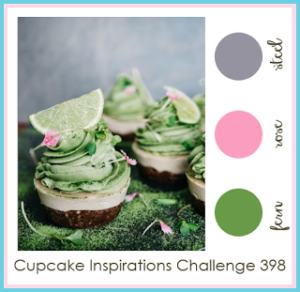 So glad you linked up to this week’s Cupcake Inspirations Challenge. This is gorgeous! Beautiful coloring! Thank you so much for playing along with us at Cupcake Inspirations!